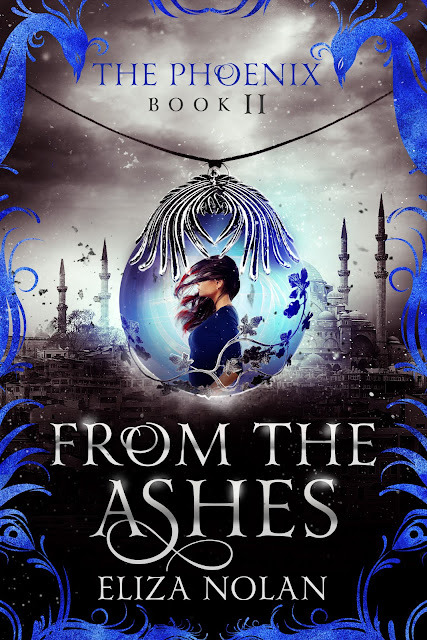 Author Eliza Nolan: From The Ashes is LIVE! From The Ashes is LIVE! In this exciting sequel to Phoenix Awakens, Nolan whisks her readers off to Istanbul where the Legend of the Phoenix is the centerpiece in a centuries old battle for power. It’s been three months since Julia Long discovered she’s a magical being called The Phoenix, and she still hasn’t mastered her ancestral powers. But when a mysterious visitor provides evidence that Julia’s birth mother has been kidnapped in Istanbul, Julia must try to save her. Meeting her mother's family for the first time is wonderful, but discovering there are other kids her age with magic is better, even if one of them is infuriatingly dark and handsome. But not everyone is happy letting kids be kids. Some seek to use these gifted youth as pawns in a game of power and intrigue. And just by the nature of who she is, Julia's now the most powerful piece on the board. But if she doesn’t play her part perfectly, she could lose everything, including her mother.